📢 Game day today and the firsts are crossing the Solent in search of three much needed points in the league! 🗳 Looking to improve from their performance against Alton, lets have your predictions! 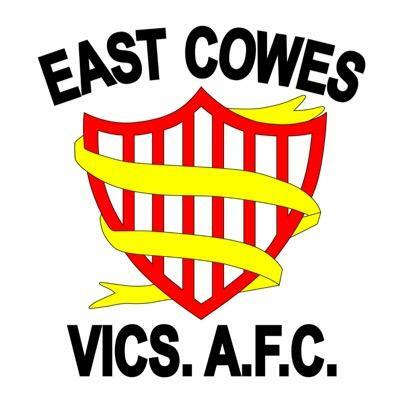 Following our recent defeat at home to Alton, Fawley were hoping to bounce back as they traveled across the Solent to in-form Islanders East Cowes Vics. The first half was relatively even matched but the first clear chance fell to the home side as Page had to react quickly to make a save with his feet as East Cowes managed to get behind the Fawley defence. Ollie Bradley made a purposeful run into the Vics half and centred a ball for Tanner who could only hit the side netting. The first goal came after 30 minutes as a cross field ball from Pete Keating was met by Josh McPhee playing in a more advanced position of left wing. McPhee took his marker to the by-line and provided the perfect squared pass for Kieran Roche to poke home for one-nil. Vics produced one more notable attack in a pretty evenly contested first half, as a well struck shot from outisde the box troubled Page enough to tip the ball over the crossbar. Second half and the Vics started the livelier without troubling the Fawley goal. Ollie Bradley had a strike sail over the crossbar and Roche and Bolton looked like they might be able to hit Vics on the counter, as their pace continued to trouble the oppositions backline. It took a contentious decision to level the game up mid way through the second half as what seemed like a clear foul on Pete Keating in the Fawley penalty area was missed by the match officials, and the Vics squared the ball for a tap in at the far post much to the dismay of the Fawley players and coaches. Fawley and Vics didn't have too many opportunities to influence the scoreline as set-pieces and attacks were dealt with effectively by both sets of defences, and the game ended relatively uneventfully at one apiece. Up next for Fawley is a winner takes all cup match at home to AFC Stoneham in the Sydenhams Wessex league cup on Tuesday night, 7.45 pm kick off. Come down, grab a hot drink (maybe even buy an Oilers scarf from the Bistro!) and support the boys! The reserves sailed to three points under the guidance of stand-in manager Sam Burrow, as his reserve side put Downton to the sword in a 4 v 1 home victory. The goals were shared by Tom Walker, Ian Fowler and returning Oilers Alfie Cole and Zac Willis. This victory sets Craig Shellard and Aaron Fry up nicely to take the reigns as they step in as joint reserve team managers until the end of the season.